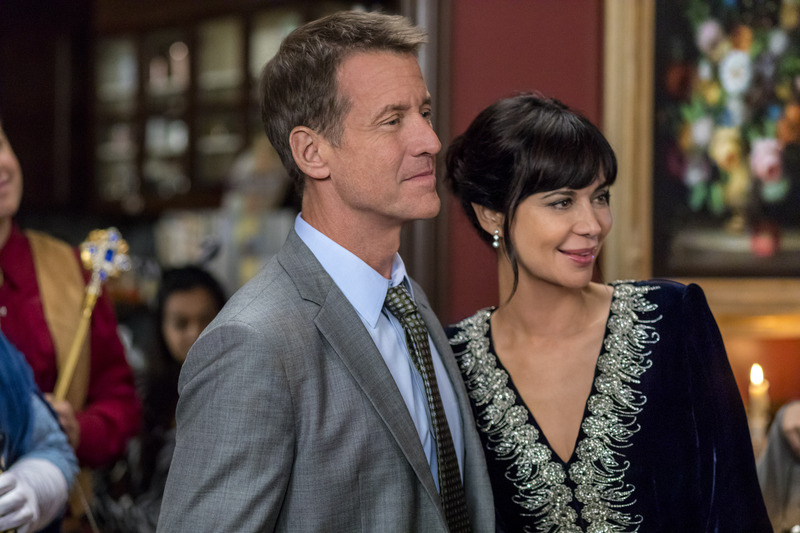 The club of actresses who’ve had sequential longevity on multiple series is fairly small, and Catherine Bell is one such esteemed member, now on her third long-term role after nine seasons on JAG and seven on Army Wives. 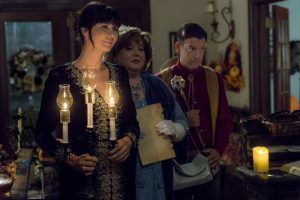 Good Witch began with a movie in January of 2008, andÂ seven films later, a series was greenlit. 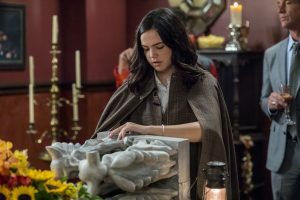 That series is now filming its fourth season, andÂ I caught up with Bell to talk about her near-decade playing Cassie Nightingale and Sunday’s new Halloween film, Spellbound. 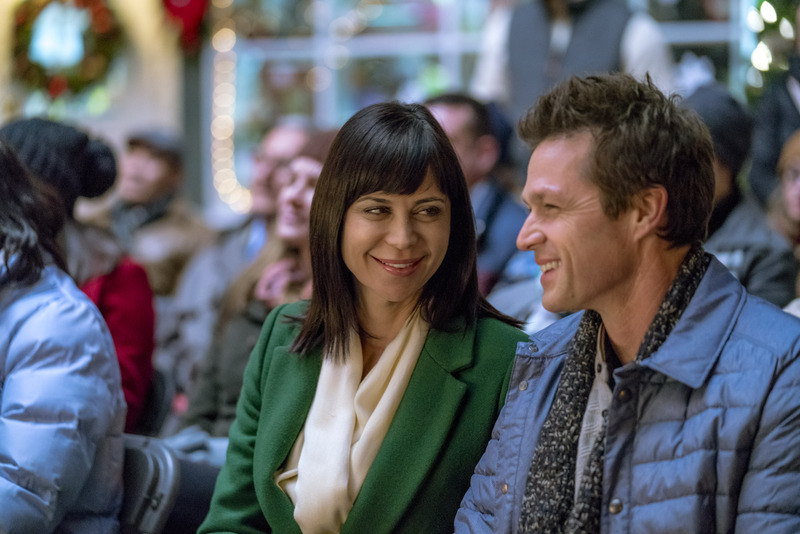 Cassie Nightingale is Hallmark Channel’s longest-running character, and Bell marvels that she has played her so long. “It’s crazy to think it’s been 10 years. I remember my daughter running around outside Grey House and now she’s 14. 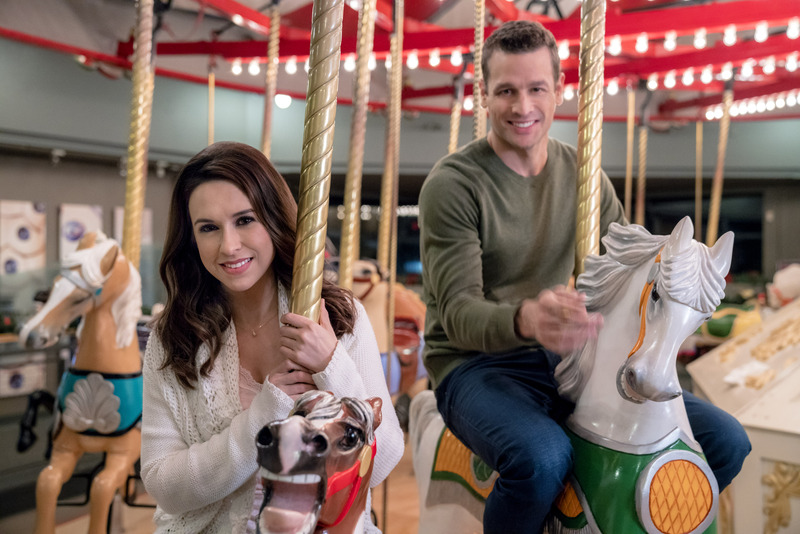 It was supposed to be one movie and it was super cute and sweet and we had a great time, and it did well and they said, ‘Let’s do it again,’ and then it did well [and here we are],” she says. Bell mixed it up earlier this summer with UPTv’s High-Rise Rescue opposite Mary Kills People‘s Greg Bryk. The movie isn’t on the network’s schedule right now, but set your DVR to catch it the next time it rolls around. Bell was thrilled to jump into an action role. “That wasÂ amazing. That was a writer/director/producer I had worked with on Still Small Voices. He wrote this one, and he says he wrote it with me in mind,” she shares. Bell is active on social media and Good Witch is the first show to really have that as a component of her work. She loves participating in that aspect of TV. “I’ve always been a techie girl, I had a smart phone before the iPhone. I’ve been the girl that people will get to fix their computer. I got right into social media early on. I definitely love it. It’s great to connect with fans so personally. I’m on Twitter and Instagram all the time, posting pictures and talking with fans. I know they appreciate a personal connection. Live Tweeting is great,” she says. 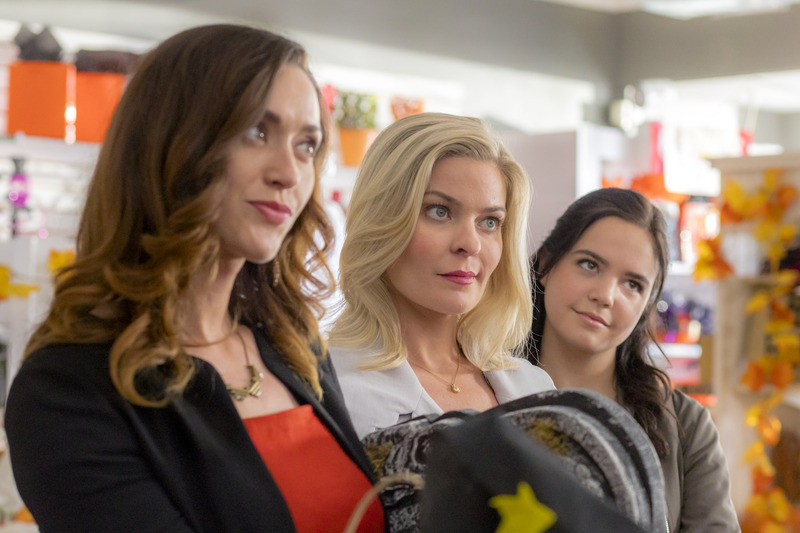 The rise of streaming outlets has enabled new fans to find older shows, and it’s no different with Bell, who has fans discovering JAG and Army Wives. 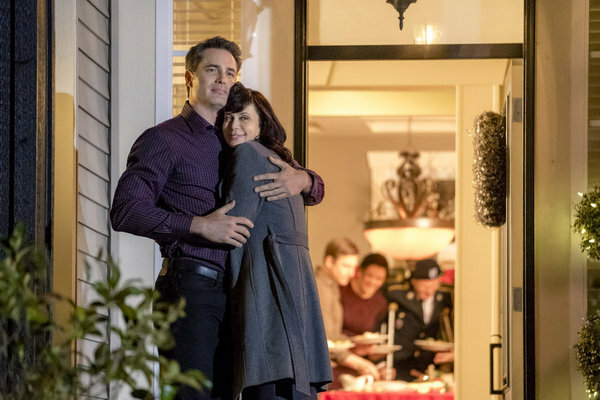 “Army Wives just went away from Netflix and my fans were not happy about that. They’ll be available somewhere else, and you can get the DVDs.Â I’m always amazed at how many people are still watching all those shows. A 20-year-old kid will [tell me] he watched JAG with his Dad,” she says. 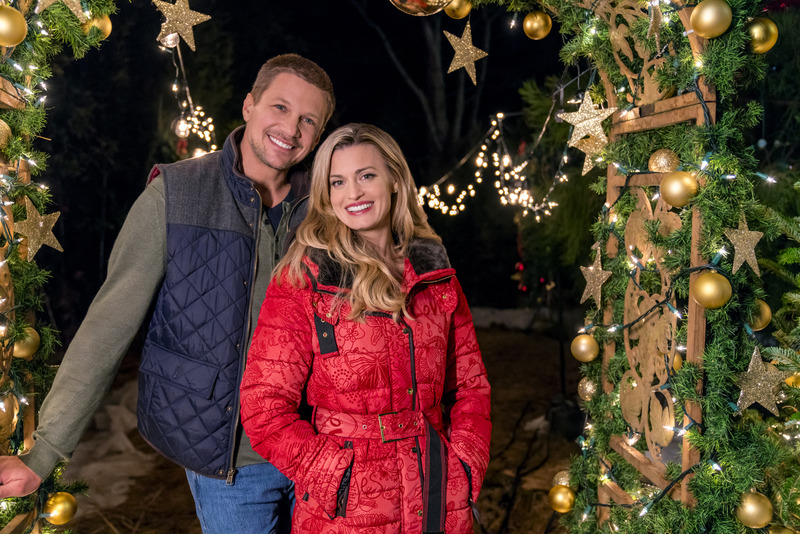 Bell will also appear on Hallmark Movies & Mysteries in two Christmas films–Home for Christmas Day, which previewed in July, and Christmas in the Air. I will have the second part of our interview when it airs on November 5th. Good Witch: Spellbound airs at 8/7c Sunday on Hallmark Channel. 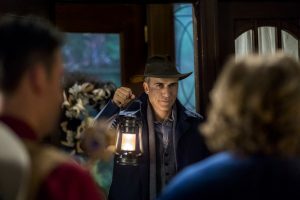 It’sÂ a Halloween-themed prequel to the upcoming fourth season and counts as part of that episode order.Â In the film, Middleton is preparing for Halloween and is a bit rattled by a series of mishaps that were foretold in a century-oldÂ prophecy. Here’s a sneak peek.